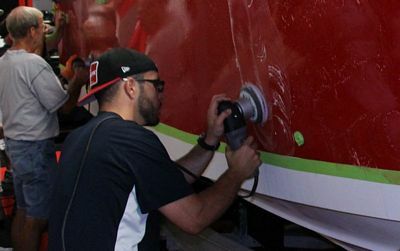 Thread: Marine 31 Boat Detailing Class - - February 4th, 2017 - The most HANDS-ON Class available in the U.S.A.
We teach this class just once a year. This class alwasy fills up and we have to turn away people. 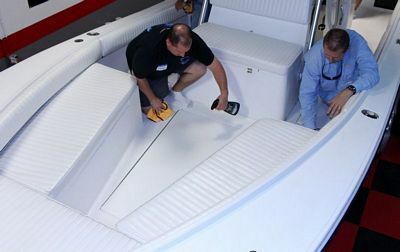 Surely you’ve asked yourself that question, or else you wouldn’t be researching and reading about the best boat detailing classes in the first place. 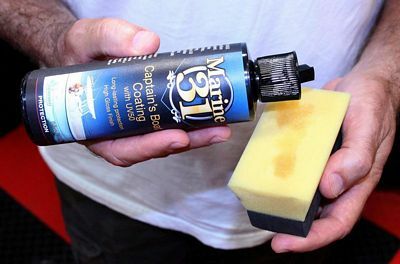 We have an answer for that question, and it’s the Marine 31 Boat Detailing Class. 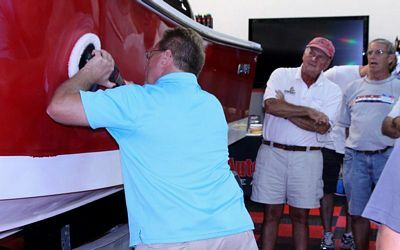 Note: This will be the only boat detailing class for 2017. 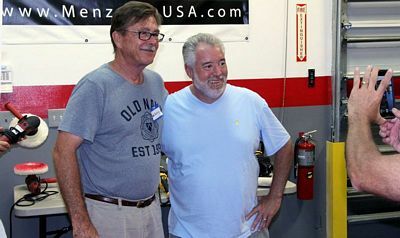 You never know who might stop by! John Greviskis from Ship Shape TV! 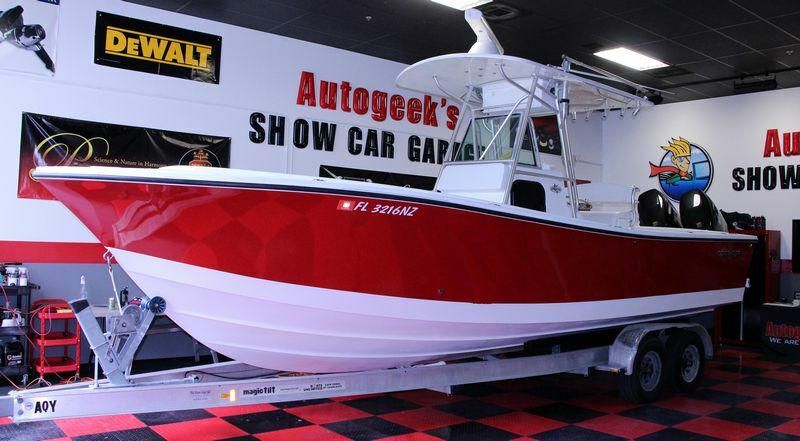 This boat is ready to go fishing! 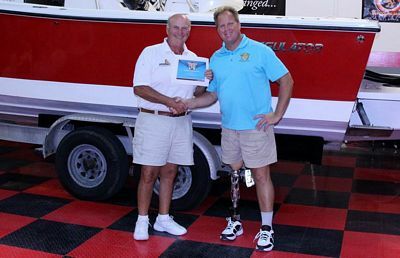 If you're a do-it-yourselfer and no one touches your boat besides you then you need this class. Why? Because you'll learn exactly what to do and the order to do it so no wasted time, wasted steps or wasted money. 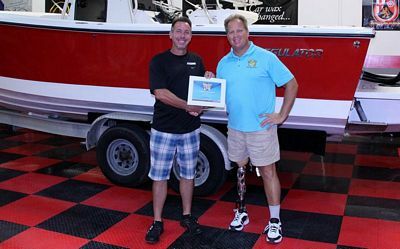 Most boat owners I meet fall into one of two categories. 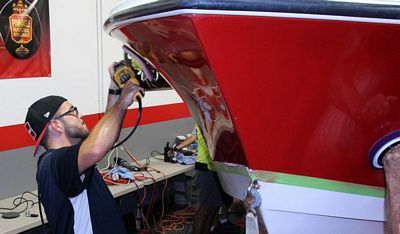 Fact is, after you take my class not only will you do a better job, if you do decide to hire a boat detailer you'll be able to judge and determine who knows what they are doing and who is simply another hack boat detailer. Either way, when you take this class you win. 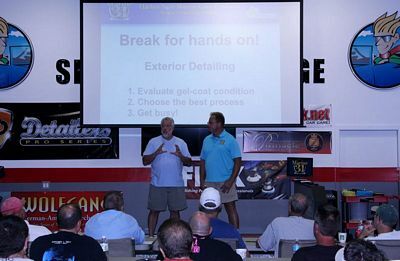 This class will be the best $450.00 you ever spent when it comes to owning your boat. 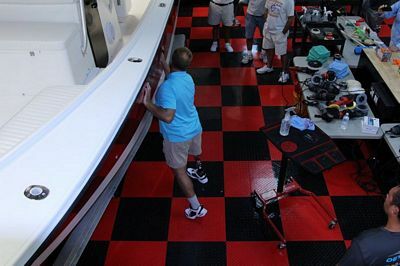 Boat owner tries to detail their boat themselves. Nothing wrong with this in fact I'm a do-it-yourselfer. 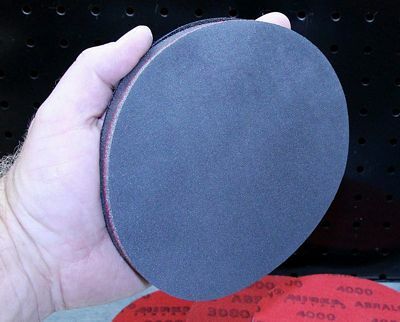 The thing is if you don't now what you're doing - then in a nut shell... you're spinning your wheels. 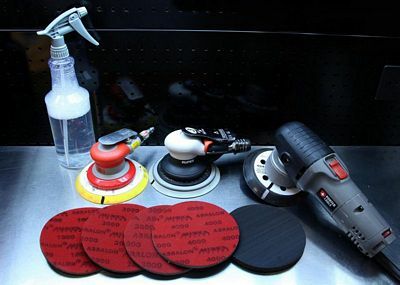 If you don't know what tool to use, what pad to use, which compounds and polishes work and by work I mean do the job right the first time, then you're in for hours and hours of punishment with nothing but mediocre results. 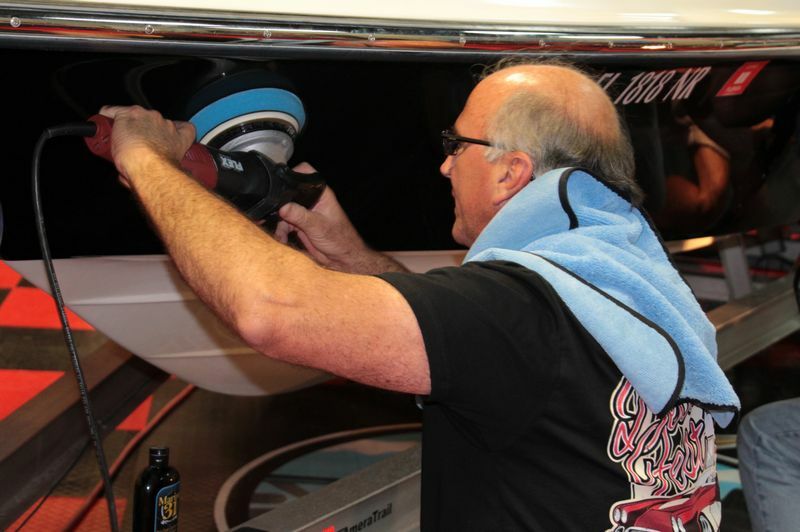 Detailing a boat is really one of those projects where a little knowledge goes a long way. 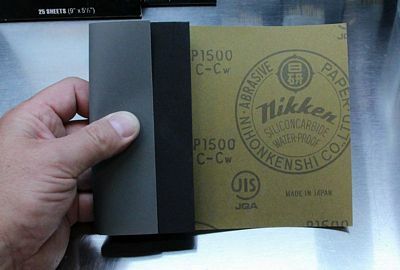 Plus the knowledge and skill you'll learn in this class will last you a lifetime. 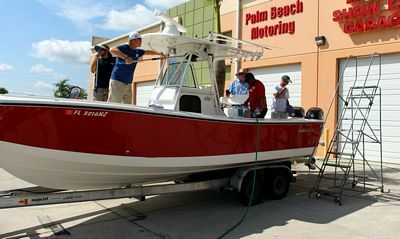 If you're a boat owner this class will be the least expensive investment with the highest returns in boat owning pleasure you'll ever make. 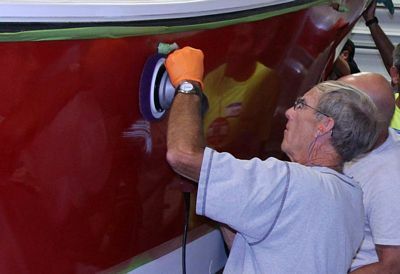 If you plan to detail boats for profit, then this class is a MUST. Here's the deal. 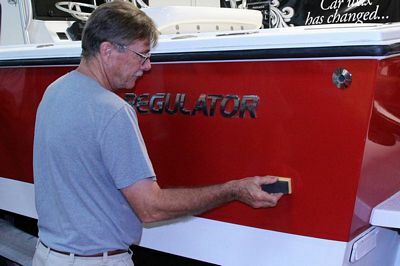 Most boat detailers are still using antiquated products, tools and procedures. 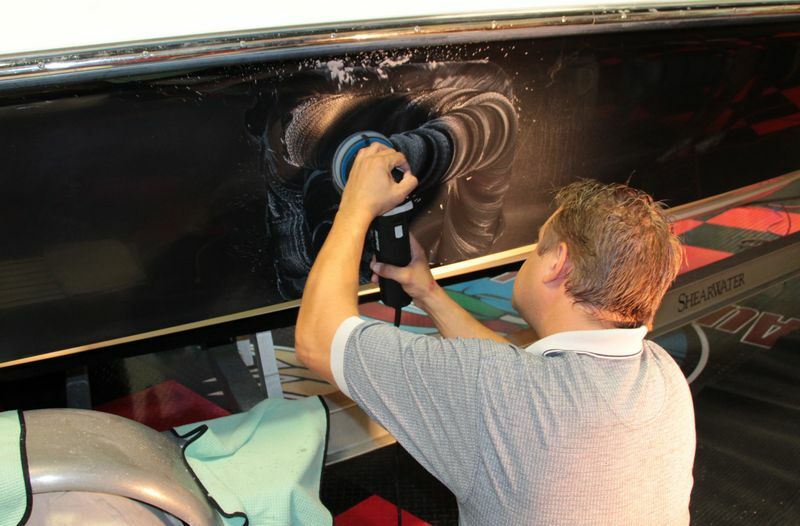 The results are every boat they detail is filled with HOLOGRAMS. 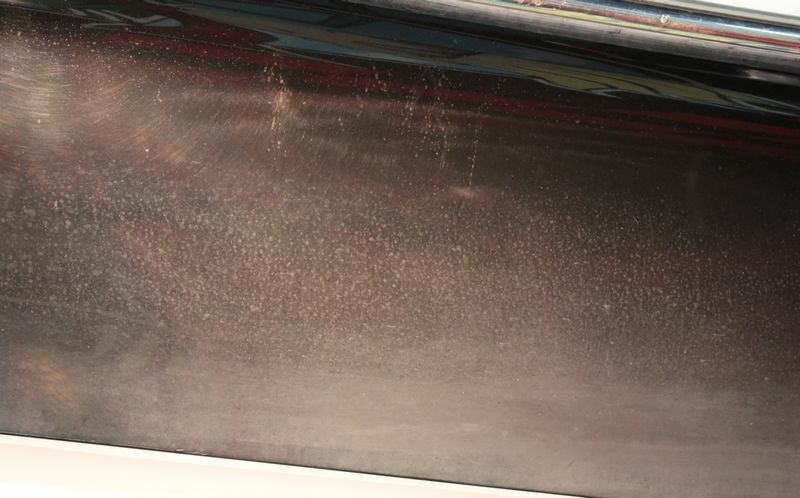 Not only is this a disservice to the boat owner but it ACCELERATES future oxidation by leaving the surface of the gel-coat more open due to increasing the total surface area of the hull PLUS leaving the surface scoured with millions of scratches. 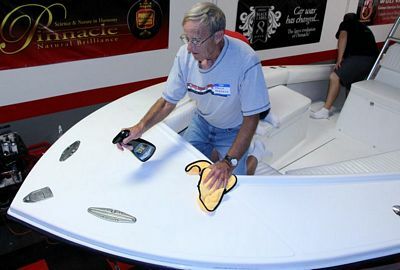 At our boat detailing class I'll teach you the proper way to machine compound, polish and wax boat plus how to educate your customer as to why to choose you over the cheap guys. 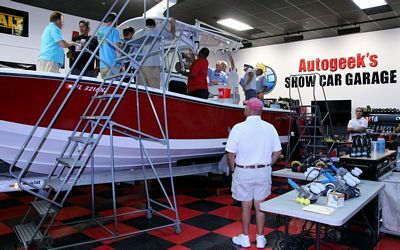 Plus, you'll also learn how to turn down boat owners that won't pay for quality and go after smart boat owners that appreciate and will pay a fair price to have the job done right. 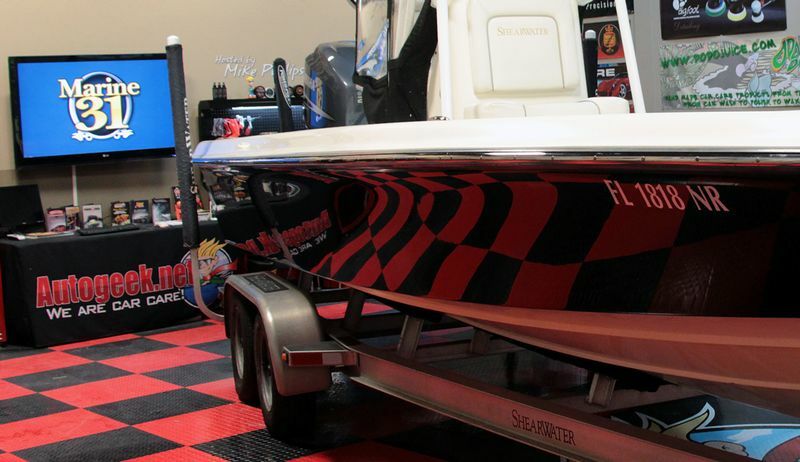 Then you'll learn how to go after this segment of the boat owner market and build a profitable customer base instead of chasing after price shoppers that in the long run are always a waste of time. 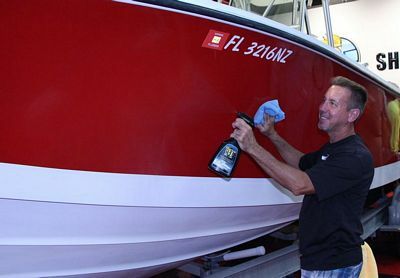 Let the hack boat detailers have the price shoppers. Click here to register for this class before it fill up! 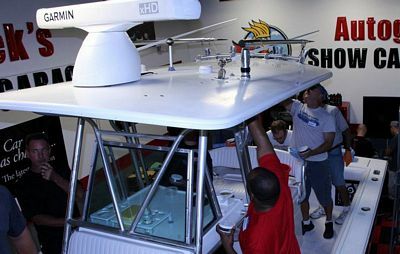 Re: Marine 31 Boat Detailing Class - - February 4th, 2017 - The most HANDS-ON Class available in the U.S.A.
We only offer this class once a year and that date for 2017 is Saturday, February 4th. 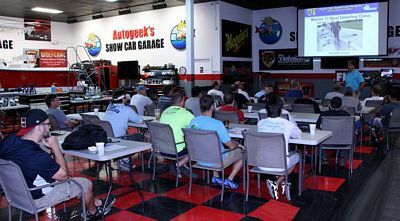 The class if full but if you forgot and don't want to wait until next year to take the class then give Andre a call and see if he can get you in. 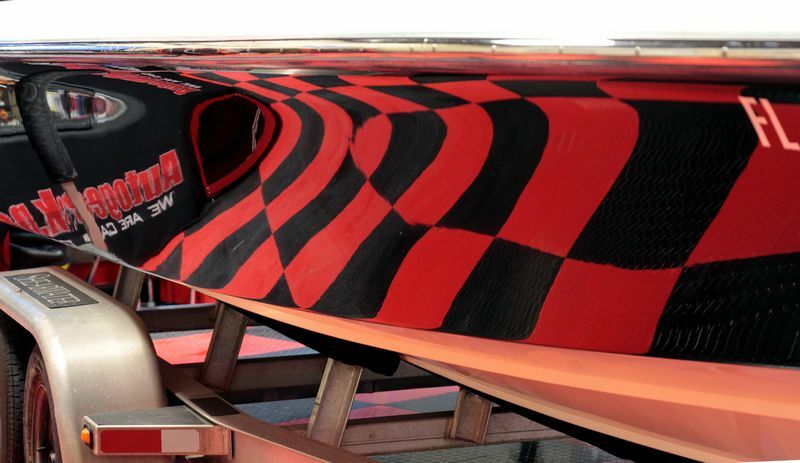 The boat for this class arrives tomorrow and after it gets here I'll share some more before pictures. 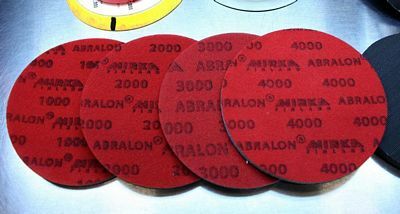 Any plans on a April Class ? 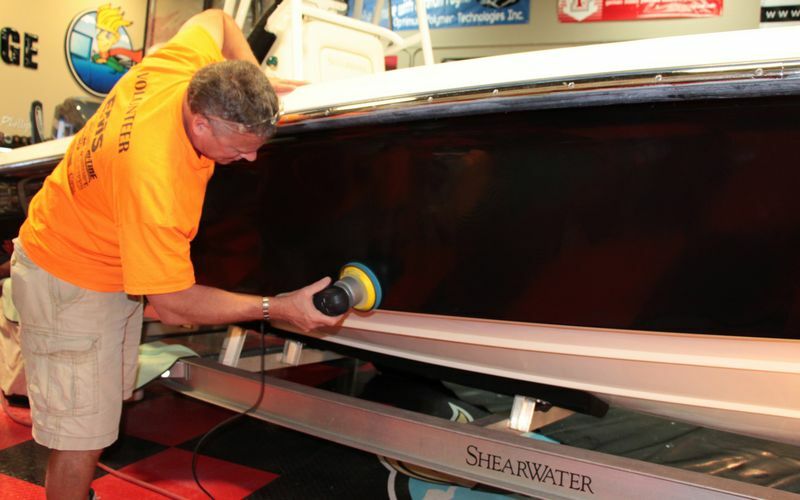 Boaters here in Michigan are just starting to get boats detailed. 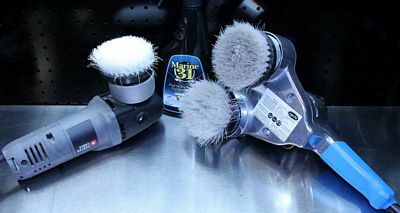 I have quite a few of Marine 31 products and would welcome a day with you. 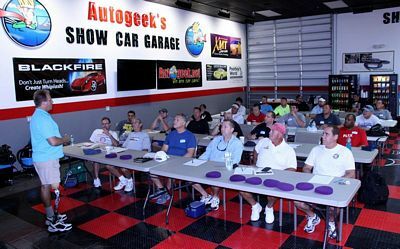 Any plans on a April Class ? 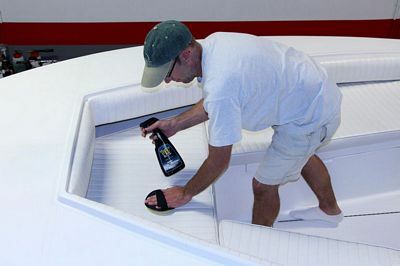 Boaters here in Michigan are just starting to get boats detailed. 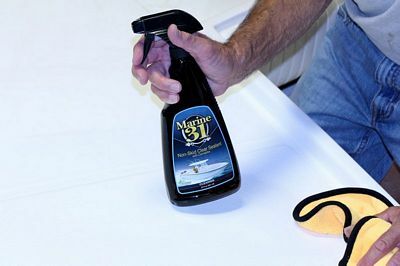 I have quite a few of Marine 31 products and would welcome a day with you. At this time we only teach this class once a year and that's in February. The feedback we receive from the studetns of this class is they wish the class was longer to have more time to cover more topics. So the next class will be two days. The second day will be optional. Stay tuned for an announcement thread for this class. 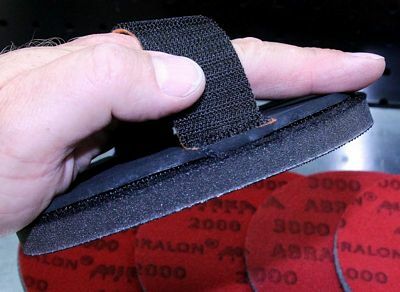 Also for what it's worth. 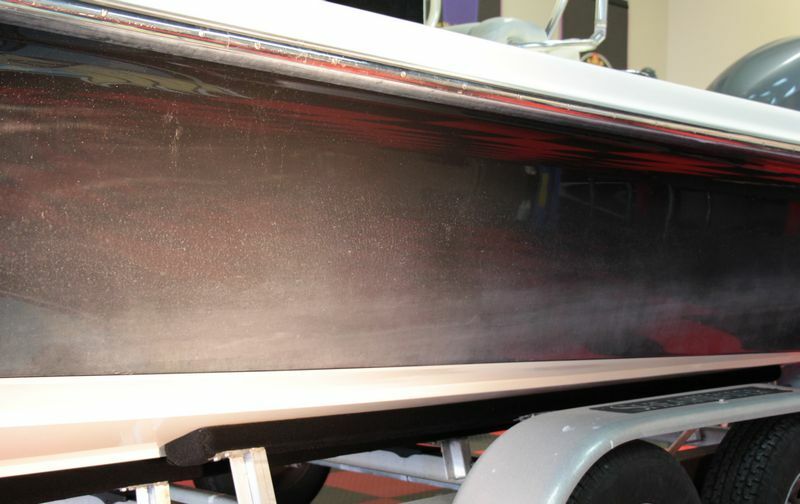 I personally invest a lot of time to get PERFECT boats for these classes. That is, boats that are in HORRIBLE condition. 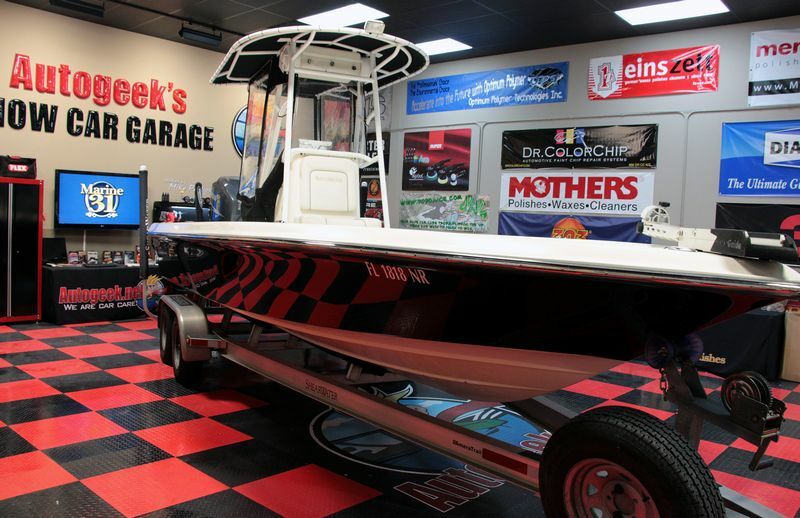 It is this type of boat that makes the BEST learning experience. This also means a dark colored boat not a white boat. 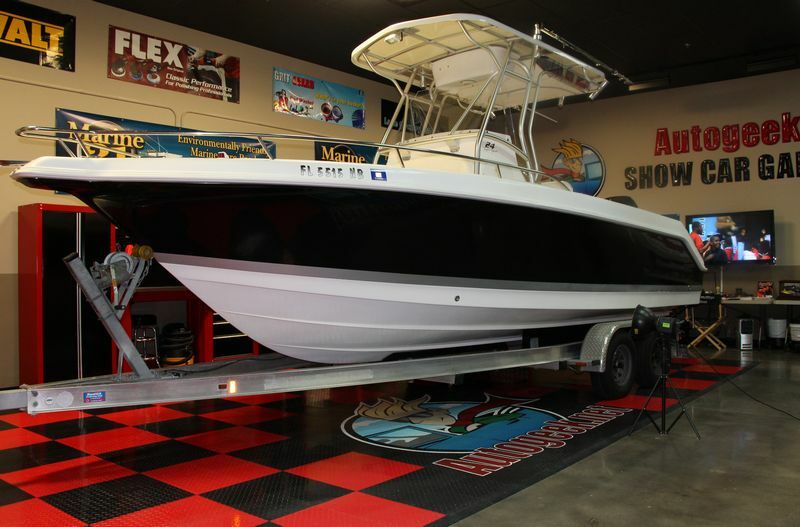 It's easy to get a white boat or light colored boat. There are millions of them here in Florida. 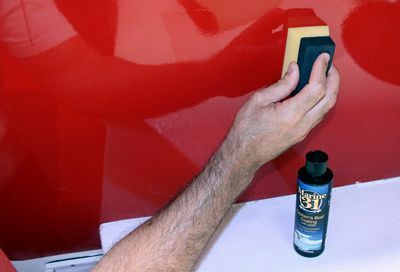 It's challenging to get a large, dark colored gel-coat boat in horrible condition that the owner will trust to often someone they don't know, (me), to machine wetsand, cut and buff and the coat.